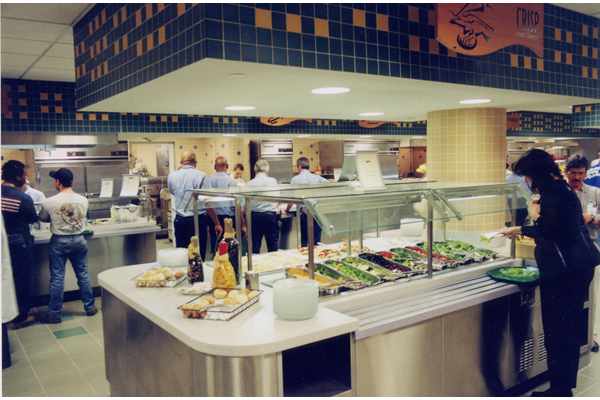 As part of a second cafeteria modernization project, EI Associates designed renovations to Pfizer’s 24-hour Food Service Facility located at the Brooklyn plant. 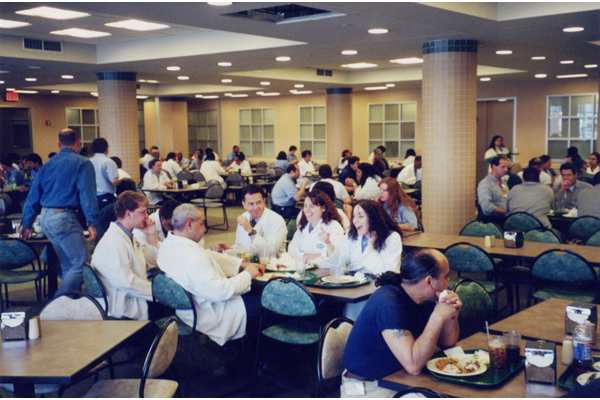 Six to eight hundred employees can now be served lunch in three seatings, with the largest seating numbering about 300. The completely new plan includes a new dish room; kitchen servery and dining room. 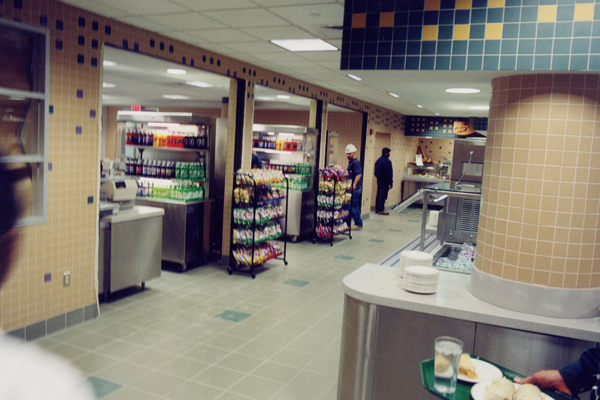 New finishes, windows, HVAC system, kitchen and servery equipment were provided as well as new lighting, telecommunication and audio-visual systems. The second floor location and the need for continuous operation during construction, presented special phasing challenges which were successfully addressed in the design.